Beyond Good and Evil is an important philosophical writing by Friedrich Nietzsche, in which he attempts to deliver his philosophy to be interpreted by the masses who read his work. 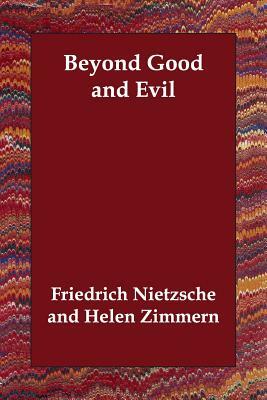 The goal of this work is to give the reader a comprehensive view of Friedrich Nietzsche's thought and style. This work should not be passed up by anybody who either studies or is interested in writings and works of philosophy.